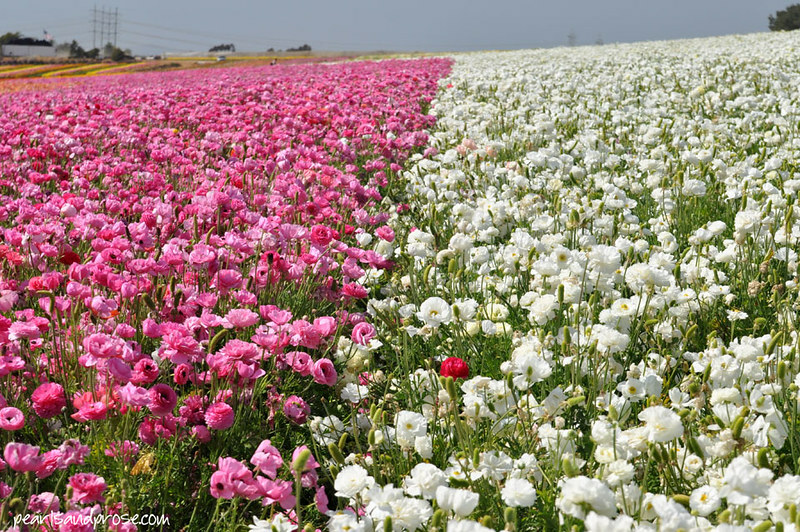 This entry was posted in photography and tagged flower fields, pink, ranunculus, red, white. Bookmark the permalink. WOW ! Gotta love that independent streak that Mother Nature sometimes displays. I’ve never seen fields like this, so big in one colour only – and then that little adventurous flower in all that white. Great shot. Emerson has a point, I must say. Caroline, these flower fields have nothing but ranunculus flowers in all different colors. I’ll be doing a post with lots of photos soon. I do love that quote. Reminds me of the fields of tulips I saw in The Netherlands last spring. Rows and rows of color all the way to the horizon. I thought of you in the Keukenhof more than once, Jackie. Hoping to make it there one day. . . .